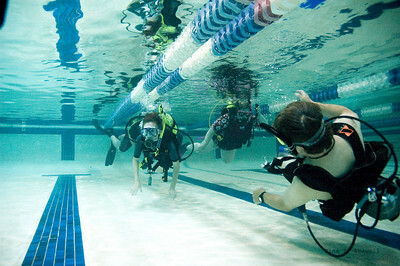 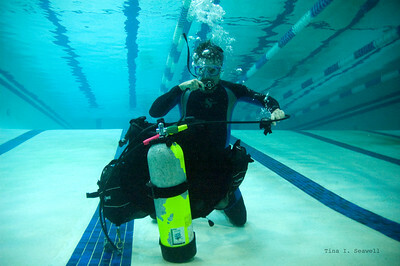 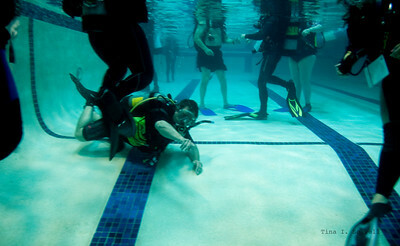 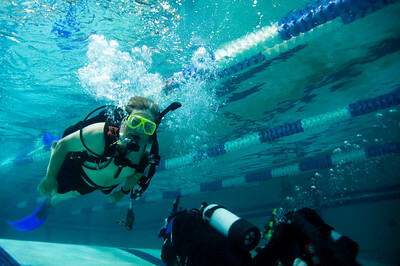 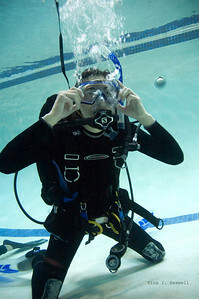 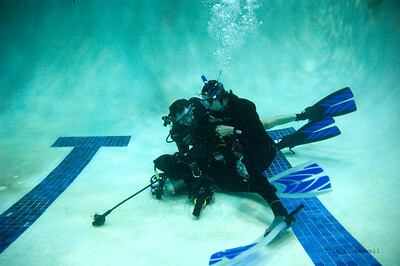 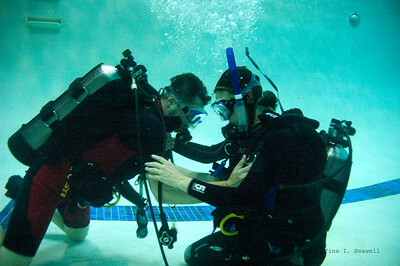 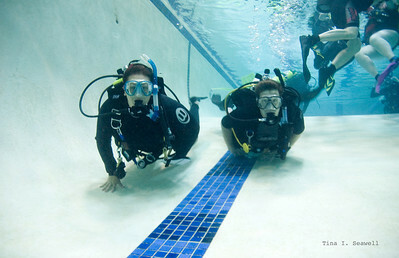 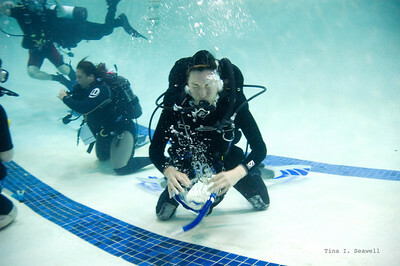 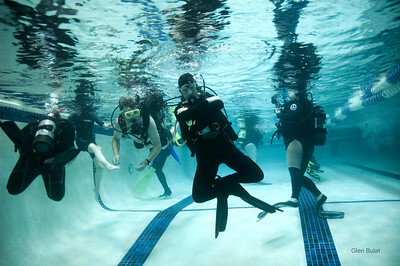 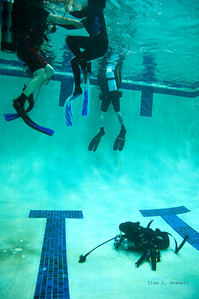 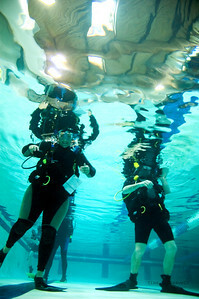 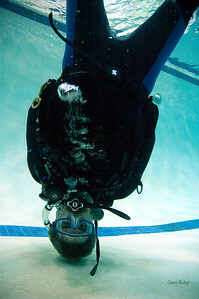 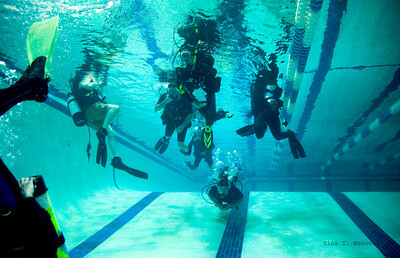 ESDC members met to practice scuba skills at the Woodinville Aquatic Center. 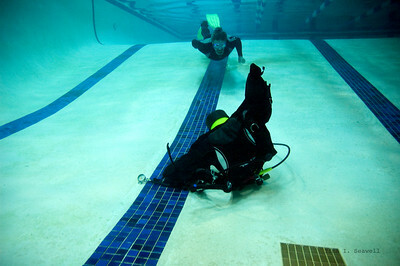 Sabine left her life support system on the bottom of the pool. 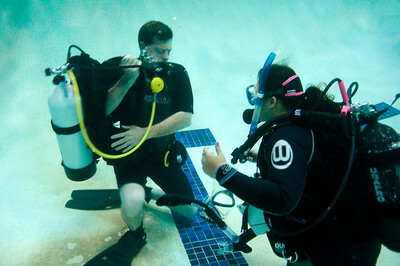 Sabine and Glen discuss how to get Sabine's gear back on. 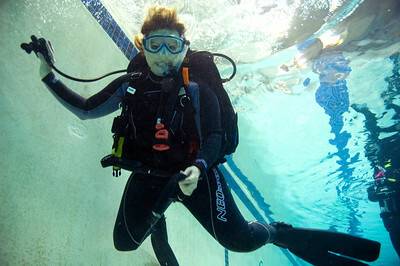 She has integrated weights. 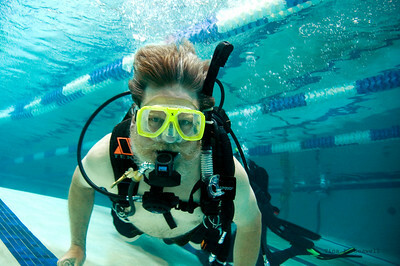 Steve Berthinier swimming for his life support equipment. 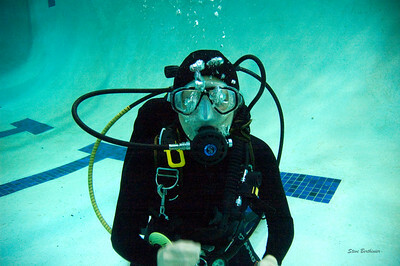 Tina Seawell hiding behind bubbles.